Much like its little brother – 3D. 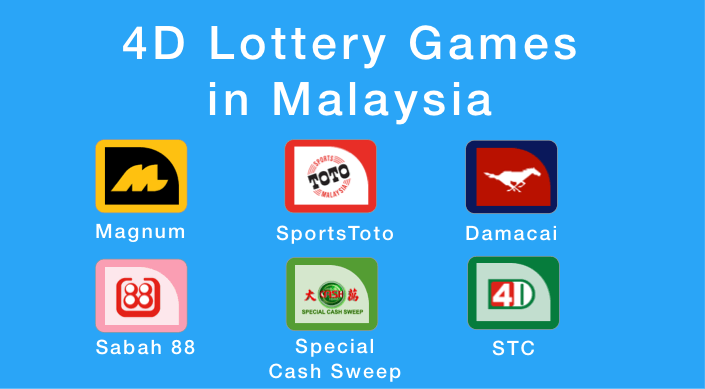 The 4-Digit (or 4D) lottery is a popular mainstay amongst people living in ASEAN (Malaysia, Singapore, Cambodia, etc.). This game was evolved from 3D, to which is believed to have gotten its origins from a schoolboy trying to raffle off his bicycle by selling 100 $1 tickets, bearing 2 digits each. The winning ticket is picked from matching the 2 digits to the last 2 digits of the first prize of the Turf Club Sweepstake. *Read Origins if you’re interested to know more. Most of the companies listed above brands the game as “4D“. However, only Damacai brands the game as “1+3D“. Lastly, they will then decide on how much to wager their bets on the chosen numbers. The minimum required bet amount for a 4D number is RM1. The simplest possible bet type to play the game, all you have to do is to select any 4 numbers from 0000 – 9999 as your favourite combination. The straight bet only allows the player to bet their number as it is written. For those of you who have trouble deciding what numbers to buy or would like to test your luck, the Lucky Pick (or LP in short) option is here to help with your dilemmas. With a minimum bet of RM1, these randomly generated numbers from the lottery company’s computer-generated system could very well just be your Prize Winning Number. Players are only allowed to roll the front or back of their 4-digit number. a Roll-Front of R447 produces: 0447, 1447, 2447, …, 9447.
a Roll-Back of 723R produces: 7230, 7231, 7232, …, 7239. Players have the option to roll any of their 4-digit combination. For example, 7R90 produces: 7090, 7190, 7290, …, 7990. Players have the option to also roll any of their 4-digit combination. However, the maximum roll for each player is up to 2 digit numbers. Hence, you can have a bet of 7RR8, or R8R9 just to illustrate a few examples. The minimum bet play is RM10 for a Roll Bet as there will be 10 individual 4-digit numbers generated.